CASA CARRICITOS is all about privacy and beauty. A truly romantic beautiful Villa, located on 2.5 acres with panoramic views of the Pacific Ocean. We lovingly call it “stare therapy” as in: sit and just stare. You can really relax in our home. 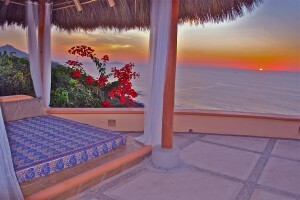 A truly romantic beautiful Villa, located on 2.5 acres with panoramic views of the Pacific Ocean. From anywhere on the property you can watch spectacular sunsets 365 days a year. We can confidently say that this house has the most incredible views on this portion of the coastline. As our neighbor told us, “You don’t have a million dollar view, you have a billion dollar view.” And we agree!! Whales and dolphins are frequently seen from both houses. The infinity edge pool and gardens are Magic! © 2019 Casa Carricitos. All Rights Reserved.